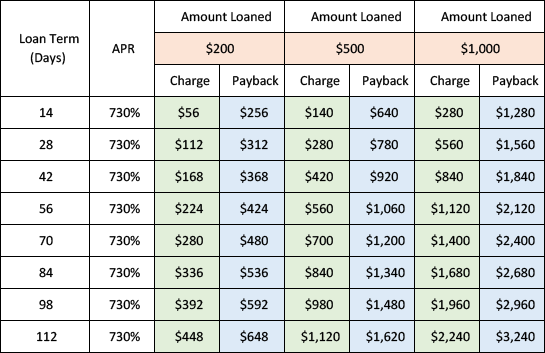 We will charge you daily interest of 2%, that is only $2 on every $100 borrowed. We collect money from you once in every cycle, which is 14 days. During the first four cycles you can choose to pay us interest only. Afterwards, we will require you to reduce your capital by at least 15% each cycle. You can pay us early or more frequently. Every time a payment which reduces your capital is cleared in our account, the loan interest is immediately adjusted. We will draw money automatically from your bank account. Alternatively, you can pay using a credit card – we accept all the major brands (VISA, MasterCard, American Express). To discuss your payment options, please contact our Customer Service department.